It was about 38 degrees when I made it to El Mirage for the 6:45AM patrol meeting. It rained a little overnight which means dust was low, the track was hard and the air was dense. There was even a little tail wind for an extra push down the 1.3 mile course. It was a fast day and records fell. Just after patrol meeting and a breakfast burrito. 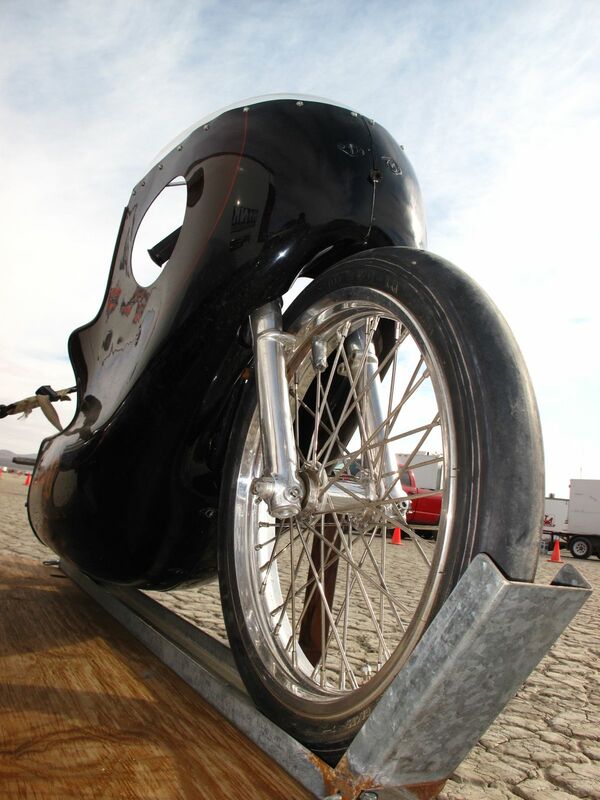 I joined Gear Grinders about seven years ago with the intention of racing a Buell Blast. By the time I found a bike I figured out I was too lazy to mess with it but I stayed in the club just in case. As a member of an SCTA racing club you do “patrol” duty every year or so. Patrol is sort of like being a flag person at a regular race but since the course is so long and nobody would see the flags, you alert the “tower” on a CB radio if anything happens. My Patrol Station. Officially known as “Tower 8.” The RVs in the background are “Return 7 or 8.” the course is wide. Here’s a truck going about 140. (zoomed all the way in and most of the photo cropped off) You need a great big lens and a steady hand to shoot here. I can’t even follow the cars with binoculars! 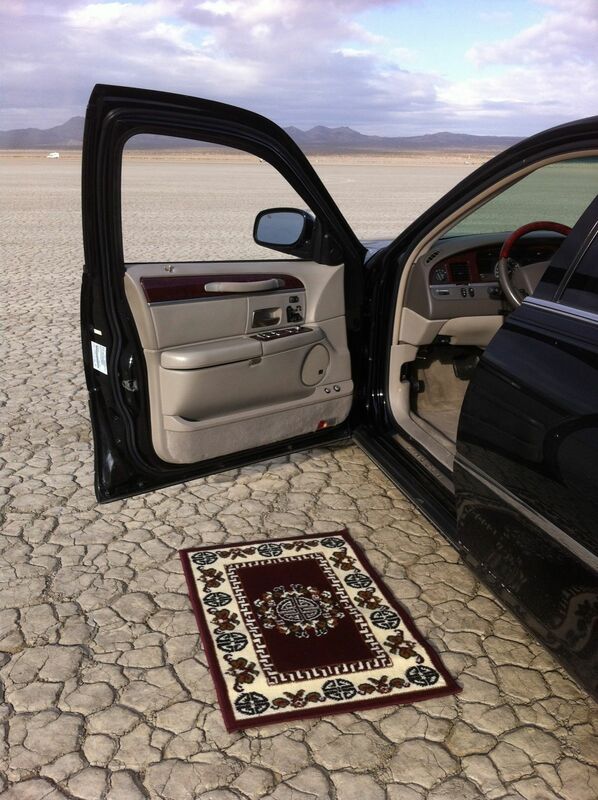 There’s always plenty of cool stuff on at an El Mirage event. This Honda 600 is powered by a GSXR 1000 motor. It sounds wild revving to 14,000 RPM before shifting! He’s the driver. It’s a very small car. Here’s a rat that was cruising around. A guy with an Aermacchi Harley and a nice Chevy to carry it around. This stood out in the line up. A blown Triumph 250. This bike was beautiful and I tried hard but these pictures don’t do it justice. …on a 250cc race bike that could inspire a thousand Cafe Racers and Choppers! 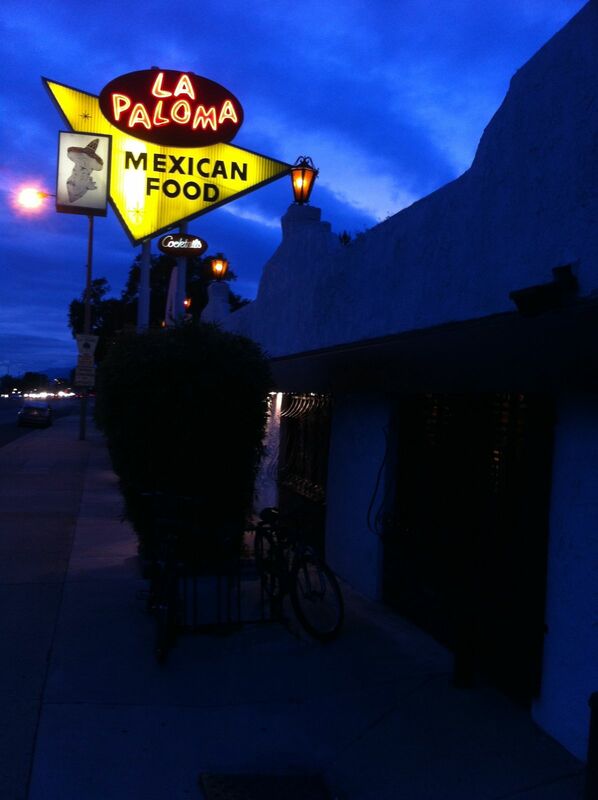 La Paloma in Laverne is a Route 66 landmark that lives up to it’s reputation for quality Mexican Food. It’s really good!